Company Name : Talisma Corporation Pvt. 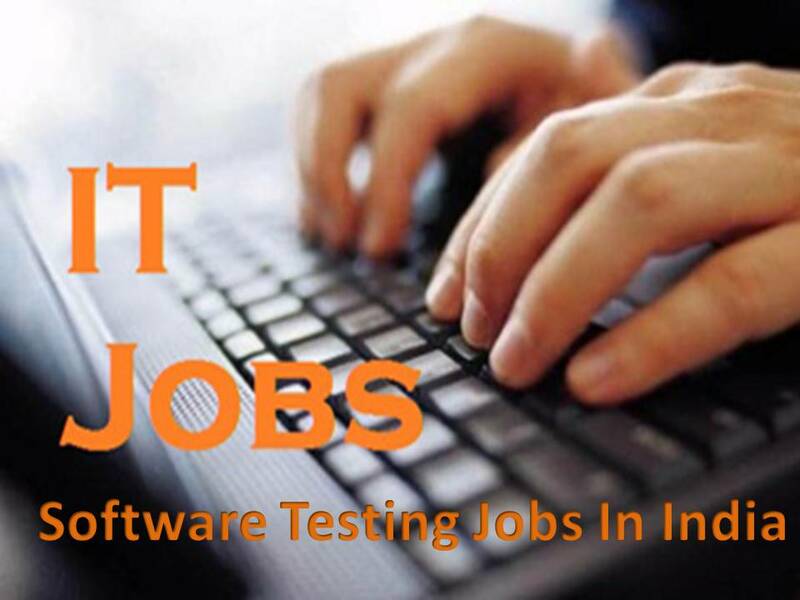 Ltd.
> Manual Testing & Automation Testing Knowledge with 4 Yrs of manual and 3yrs of automation testing experience. > Individual will be responsible for validating enterprise products (SSD/Controllers). > implement and execute both automated and manual tests. > Should have good understanding and knowledge in SDLC. > Should have knowledge in documenting Testcases and deriving test scenarios. > Develop coding (business layer coding, interface development, service development, creation of stored procedures etc) as required in the project. > Raise clarifications / issues / concerns regarding work output to the lead on time. > seek review from peer / Senior Developer periodically. > rework on the code based on code review / defects raised in unit testing or any other relevant testing phases. > participate in code peer review, as required. > Highlight any potential risks to the Leads and seek inputs to resolve issues identified. > support integration of components, as required. > Update traceability matrix for the work package developed. > provide support on process audit activities. > Adhere to process and tools (usage of cognizant 20, awareness of Quality Management System). > Write unit test cases for the specific unit. > seek review from peer / Senior Developer for the test cases written. > Execute the test cases. > Capture and fix defects as and when found, and retest the areas during testing and warranty phase. > Review work to ensure adherence to SCM policies set for project. > Follow up on integration of the component developed with the application. > Understand and execute automation tools for testing. Company Name : Infiniteworx Omnichannel Pvt. Ltd.
> Performance testing experience with Web App, Web services and Mobile App. > Test data creation by using excel, macro etc. > baselines for various workloads. > Setup, automate and execute performance suites and analyze results to evaluate product performance. > Strong in end-to-end root-cause analysis on performance bottlenecks and reporting observations. Contact Company : Infiniteworx Omnichannel Pvt. Ltd.
> Total 6 to 13 years of experience in writing high-quality code in C or C++ and scripting languages like Python. > Must have experience on Unix or Linux with code that has high reliability requirements; code that needs to pay attention to low-level operating characteristics (memory usage, efficient performance, correct conformance to external standards) is also highly desired. > The ideal SDET candidate must have demonstrated passion to find bugs i.e. they must like breaking software as much as writing code! > Must have ability to read code with a focus on its robustness and security. > Minimum 5 years of IT working experiences in complete SDLC. > Experience in writing test scenarios. > 3+ years of hands-on experience in designing automation tests on Selenium. > Hands on experience in C#. > Good knowledge on testing frameworks: JUnit, TestNG etc. > Worked on Automation Framework development/modifications. > Team Player, ability to multi-task, work independently and provide excellent follow-through on tasks. > Experience with SoapUI, PostMan, Fiddler etc. > Good knowledge in Database and UNIX. > Should have experience in Selenium RC, IDE & Grid, JIRA, Automation framework. > Experience in Manual Testing using selenium. > Software Testing,Black Box testing,Regression testing. > To work closely with BAs team/Vendor/developers/Biz to understand and define the system requirements/acceptance criteria of user stories and upcoming features. > Bachelors or Masters in Computer Science or Engineering and 6+ years of cumulative experience in software development and/or test automation. > Good understanding of testing process, test types and testing methodologies. > Demonstrated understanding and experience with object oriented design. > Excellent written and oral communication skills. > Graduate in CS or equivalent with 3 to 6 years of experience in Automation Testing and Quality Assurance profile. > Good experience working in Agile testing projects. > Good exposure in Functional testing, Performance Testing , Quality testing and Scalability testing on multiple environment including web and mobile. > Hands-on experience with testing web applications, multi-tier applications, office utilities and web dashboards. > Knowledge on Cucumber/Protractor/Jasmine framework preferred. > ISTQB FL certification is preferred. > Retail or Supply Chain domain Knowledge preferred. 20) FRESHWORKS IS HIRING FOR SOFTWARE ENGINEER IN TEST !!! Company Name : Freshworks Technologies Pvt. Ltd. Contact Company : Freshworks Technologies Pvt. Ltd.